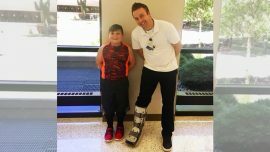 Nine-year-old Gabe Carranza and Mayo pharmacy tech Adam Savage don’t quite remember how it all began, but swapping one-liners when they see one another now never gets old. The cover of the December issue of Clinical Chemistry features physicians and scientists in the Department of Laboratory Medicine and Pathology (DLMP) at Mayo Clinic for their American Association for Clinical Chemistry (AACC) Learning Lab work. 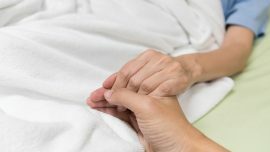 Patients nearing the end of life often have loved ones who can be by their side and offer comfort. But when they don’t, Mayo volunteers make sure the patient is not alone. Years ago, a one-horse open sleigh was the preferred method of transportation in winter. 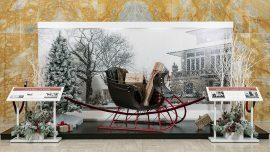 A new exhibit on the Mayo Campus in Rochester, Minnesota, features, among other historical tidbits on frontier medicine, a story of a sleigh ride gone awry for Dr. W. W. Mayo. 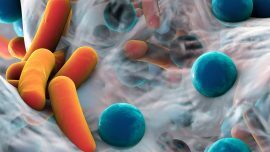 Robin Patel, M.D., Chair of the Division of Clinical Microbiology in the Department of Laboratory Medicine and Pathology at Mayo Clinic in Rochester, Minnesota, was recently featured in Clinical Laboratory News about antibiotic-resistant infections and shortening the time to identify organisms and resistance. 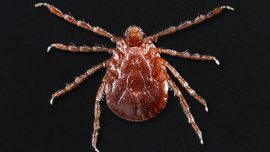 According to the Centers for Disease Control and Prevention (CDC), the Asian longhorned tick has spread across nine states since it first appeared in the U.S. Bobbi Pritt, M.D., Director of the Clinical Parasitology Laboratory and Co-Director of Vector-Borne Diseases Lab Services in Mayo Clinic’s Department of Laboratory Medicine and Pathology, discusses the risks. Jennifer Koski from the Post-Bulletin recently had the pleasure of talking to the woman who bought Sister Antoine’s desk. Sister Antoine died in February at 104 years old and was the last surviving sister to have worked with the Mayo Brothers. 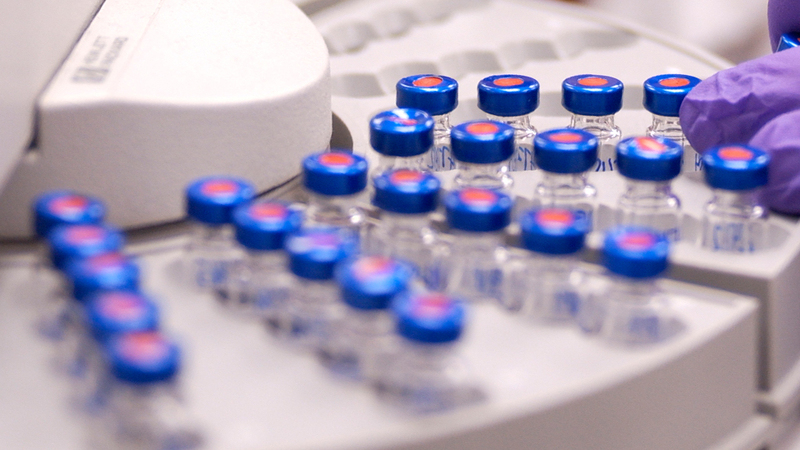 Nikola Baumann, Ph.D., Director of the Central Clinical Laboratory and Central Processing Laboratory at Mayo Clinic, was recently featured in CAP Today about biotin interference. 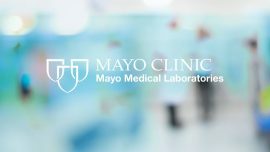 According to findings of a Mayo Clinic study, biotin use is not rare, and don’t count on it being listed in the patient’s electronic medical record. Joseph Parisi, M.D., and Bobbi Pritt, M.D., have both received the 2018 Distinguished Educator Award. 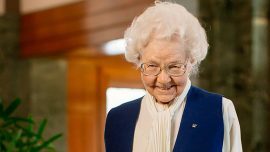 The award honors Mayo Clinic staff members who have made substantial and continued contributions to Mayo’s educational mission. 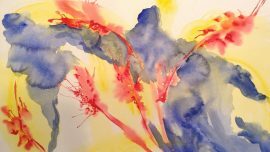 A program that connects patients with writers, visual artists, and musicians at Mayo Clinic offers a type of care that has nothing to do with tests or treatments. 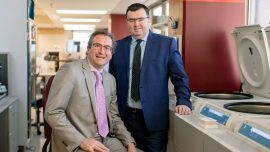 Sean Pittock, M.D., and Andrew McKeon, M.B., B.Ch., M.D., were featured in a Post Bulletin series about autoimmune neurology disorders and the research and services that Mayo Clinic offers patients. 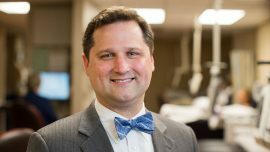 Justin Kreuter, M.D., Medical Director of Mayo Clinic’s Blood Donor Program, discusses the importance of giving blood during the winter season on KAAL TV (channel 6 ABC news). 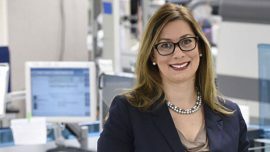 Maria Alice Willrich, Ph.D., Consultant in the Department of Laboratory Medicine and Pathology, and Paula Ladwig, Development Tech Coordinator, at Mayo Clinic in Rochester, Minnesota, authored an article in Clinical Laboratory News on mass spectrometry applications for monoclonal antibody therapeutics.